Do you own Galaxy S7260? if yes, then go ahead and download the required drivers for your device. Yes, you can download it from here. In this article, we will provide you all the latest required drivers for your device. Just keep reading the article and you will be able to find the drivers for your Galaxy Star Pro S7260. 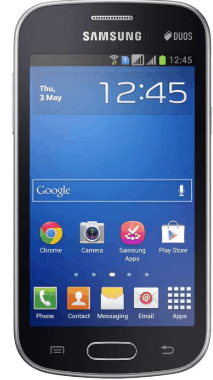 Galaxy Star Pro comes in single sim or dual sim. The phone runs on Android 4.1.2 (Jelly bean) powered by 1.0 GHz cortex-A5. The internal memory of the phone include 4 GB with 512 MB RAM and also support micro-SD card upto 32 GB. The size of screen is 4.0 inches supporting resolution of 480×800 pixels and considering TFT capacitive touchscreen. The connectivity medium include WLAN, Bluetooth, Radio and USB. The phone comes only in primary camera which is 2MP. The phone is powered by Li-Ion 1500 mAh battery and comes in five awesome colors which are red, orange, green, white and black.